When people think of home healthcare, they may imagine nurses tending to bedridden patients, unable to care for themselves. VNA of Ohio does serve patients in those circumstances, but that is only one facet of the home-based care VNA of Ohio provides. That team consists of registered nurses, therapists, social workers and home health aides. VNA of Ohio’s home healthcare nurses provide skilled care, like tending to wound care after surgery, educating patients and their families following a new diagnosis or administering IVs and other therapies. Nurses also act as liaisons between patients and their physicians. Through VNA of Ohio’s private duty HomeAssist™ program, home health aides work with clients who need help with every day tasks. These services might include planning and preparing meals, assisting with bathing and grooming, performing light-housekeeping or simply providing companionship. They also can provide assistance with walking and transfers, feeding and medication reminders. Home health aides can accompany clients to doctors’ appointments, shopping and social outings and even on out-of-town trips. 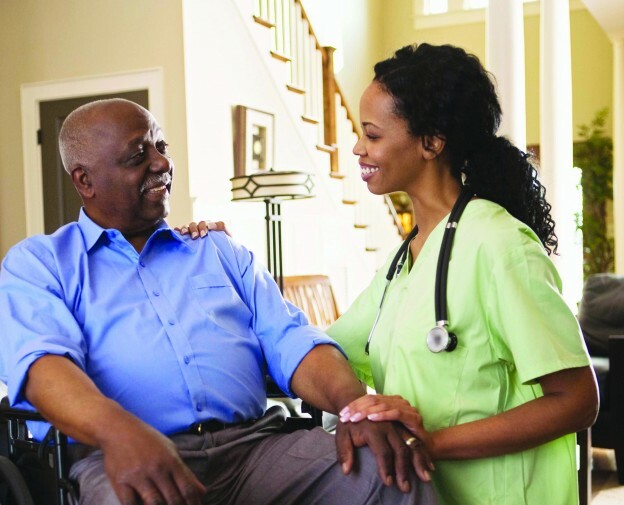 Zangerle explained that home health aides get to know their clients well, and if they notice that a patient’s condition has changed, they will consult with VNA of Ohio clinicians about bringing in more help. Through its team of healthcare professionals, VNA of Ohio gives families the comfort of knowing their loved ones are receiving the care they need when they need it, whether it be one visit, a few visits a week or round-the-clock care, Zangerle said. Learn more about VNA of Ohio Home Assist™ or call us today at 1-877-698-6264.